Onion lights may be one of the most overlooked types of lighting fixture out there. These lights are inspired by ships and are often found on the outside of homes on the east coast of North America. Named because they look like little onions, these fixtures have been making a gradual comeback for home decorators in the past few years, especially by those who want to add a wholesome and warm element to their home. The onion light is also enjoying a new place in gardens and backyards rather than simply on the exterior of homes because their versatile and warm presence works almost anywhere. If you are looking for a different kind of light fixture, here are a few reasons why you will want to choose onion lights. Onion lights have been a mainstay in the lighting industry for over a century. The bulbous glass globe from which onion lights get their name can offer a blend of versatile and rustic lighting that’s suitable for almost any outdoor space. Crescent Harbor has teamed up with Brass Traditions, an American company, to create a full line of beautiful and high-quality onion lights that can bring an old school charm to your home. Here are just a few reasons why you should consider onion lights for your patio, yard, or other outdoor space in need of quality lighting. As humans, we have evolved from being cave dwellers afraid of fire to using electricity for light and other functions, and light for decoration, and celebration. 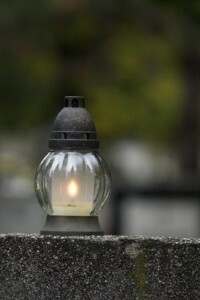 Let us take a look at the evolution of a basic form of lantern and where onion lights or lanterns play a role. Lantern originated from the words lanthorn or lanthorne – this referred to the materials that the light sources were made out of – transparent or translucent sides of sheep’s horn. The horn was used to enclose the light and protect it from the elements of wind and rain – in essence the word lantern became synonymous with a well-protected portable light source, used mostly outdoors in all weather and conditions. Onion lights or lanterns were part of this evolution. From the beginning of written history, there has been noted lanterns, from the Greek poems, to the New Testament, where the men who apprehended Jesus in the garden are described as having “lanterns with torches”. Onion lights are called so because they are made in a shape resembling an Onion. The design of these fixtures has withstood the test of time, as in previous days these onion-shaped lanterns were used in lighthouses as well as in fishing vessels for supplying dim light on the water surface. In the 1800s these onion shaped lights were used also in whaling ships. Because of their broad use of glass a clear, consistent illumination can be provided. The metallic ring/cage is generally added for extra protection of these lights, and so as not to disturb the disbursement of light. Through this article, we want let people to know more about Onion Lights. Previously, it was used for outdoor functionalities, but with changing times, people are taking help of the lights for decorating the indoor portions. It is a new field to say that designer lantern trends are nothing quite new nowadays. With every passing day, people are coming across various ways, which will help to increase the beauty of their household and also the outer portion of the household, like street lamps. The custom and unique lanterns are available for more than a decade now and those are mostly used for decorating the exterior part of the walls, which mostly hang out from the porch ceilings and are also used in the entryway portion. However, as the surveys prove about the last few years, it can be well stated that the lanterns have moved for some indoor segments to all the different rooms, of a place.